"Having guided clients to 230 IGFA world records I have to rely on the VERY BEST equipment. BubbaChum chum bags simply are the BEST! With the large opening to let 25 lb blocks in easily and big mesh to let chum flow, BubbaChum MAXIMIZES bait in the water attracting more fish!!! The commercial grade quality makes it my choice for chum bags." THE Commercial Grade Chumbag for Professional Guides! Designed BY professional guides, FOR professional guides. New Colors to match your boat trim!! heavy duty stainless steel swivel comes with all bags! EASILY FITS ANY SIZE CHUM!! "I've been fishing in Key West, both recreationally and as a light tackle Charter Captain, for over 40 years. Over the years I've used many chum bags. And I have found that these are the best value for your dollar. BubbaChum™ is simply the best on the market!" Captain Larry Kelly was born and raised in Miami. A close family friend and neighbor, Poncho Ferreira, who was a commercial fisherman in Cuba, influenced his early years. As a child, Capt. Kelly would watch Poncho make large cast nets by hand in his back yard. Poncho would take his son David, daughter Adis, and Larry (Capt. Kelly) on many fishing trips as children. They would fish many areas in south Florida from Marco Island to Key West. Since 1986, Capt. Kelly has guided Dive Boats and Fishing Charters from Miami, Everglades National Park, and Key West. Most recently, Capt. Kelly has made commercial grade chumbags, primarily for his friends and fellow charter boat Capt.’s in Key West. Capt. Nick Malinovsky on the "Mannetti"
Capt. Robert "R.T." Trosset on the "Spindrift"
Capt. Chris Trosset on the "Reel Fly"
Capt. Tyson Veach on the "Super Grouper III"
Capt. Jesus Diaz on the "Fish Hunter"
Let's get you chummin' Bubba! If you have a special request or order that deviates from the ™ design, please contact us captkelly@bubbachum.com or 305-764-5777 to discuss your needs. "Listen Bubba, if I got a bag, you get a bag. If I'm not fishing, cleaning fish, making nets....or drinking beer. Ask for Larry. At "My Own Little Oasis"
I will be at home with my wife. Do NOT ask for Larry. Thank you! We will talk soon. BUBBA CHUM BAGS - "JERK YOUR CHUM!" 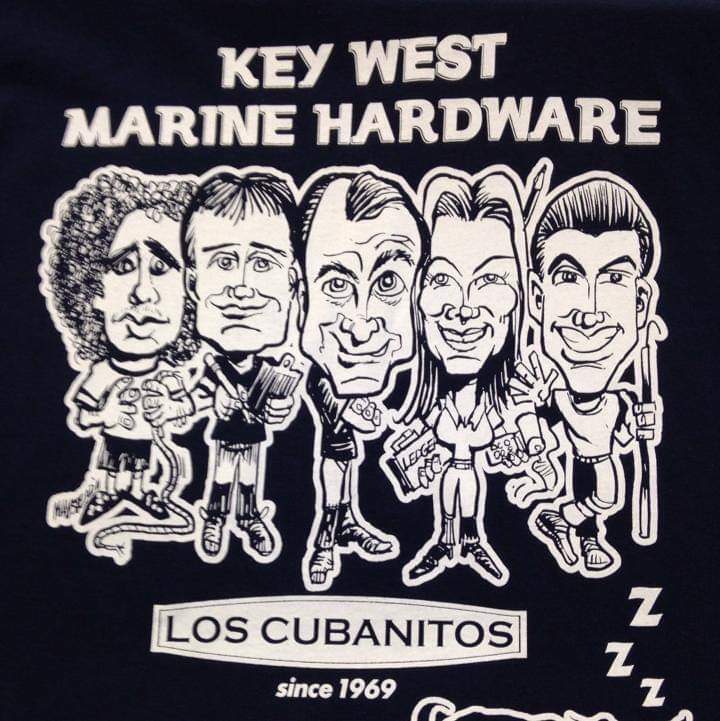 ®- MADE IN KEY WEST, U.S.A.